Today I am excited to announce that the Microsoft Worldwide Partner Conference has a new name: Microsoft Inspire. This will continue to be the great conference our partners have grown to love, but with a new name that reflects how Microsoft and our partner community inspire each other to innovate and deliver powerful new solutions to customers. IDC recently reported that investment in digital transformation initiatives will reach $2.2 trillion by 2019 – that’s almost 60% more than this year. Digital transformation is occurring across industries in businesses of all sizes. It’s shifting IT from the back office to the front office, and leaders outside IT departments are starting to infuse technology into every aspect of their business. This leads to new revenue streams, greater efficiencies, and more competitive advantages. In this new economy, every business is becoming a digital business. The revolution has created unprecedented opportunities for Microsoft and our partners to help customers realize their full potential. For our partners to take advantage, they need the technical skills to stay abreast of the latest technologies and credentials that can highlight their areas of expertise. In the year ahead, investing in building technical skills will open huge opportunities for partners. We’re making some big investments in training and development to help our partners get there. You may be familiar with some of the technical trainings, tools and resources we’ve previously made, including the Microsoft Virtual Academy, the Cloud + Enterprise University Boot Camps, and the Microsoft Professional Program, to name a few. As you heard yesterday, we’ve just launched three new Azure training offers that include free access to modular, self-paced, interactive online learning and opportunities for Azure certification at a deep discount. Six courses are available today, and we’re adding six more in the next few weeks – with more coming over the next few months! These courses are designed to help partners respond to surging demand, realize huge returns and grow their market opportunity. Technology professionals can start with our Azure Fundamentals or Azure for AWS Experts courses, or dive right in to Azure Storage or Azure Networks. I am so excited for the year ahead and am truly humbled at the strength of our partner community. Together, we can create a powerful ripple effect that can be felt around the world. Just look at some of the great transformation stories our partners are helping to drive. It’s incredible to see the growing momentum of transformation. Just a year ago, we had 3,500 partners transacting through our Cloud Solution Provider program. Today, that number is up over 20,000. We’ve also seen more partners transforming their businesses to take advantage of cloud opportunities by earning cloud competencies. In fact, the number of partners with a gold or silver cloud competency has increased 86% year over year. What’s more, partners are recognizing the value of becoming an expert in multiple cloud solutions. YoY we have seen a 53% increase in the number of partners with three or more cloud competencies, positioning these partners as true leaders. But we know there is more work to do to help each and every one of our partners position themselves for future success. It’s why we remain relentless in our commitment to our partner community: There is no way we could realize our mission without them. Want to learn more about becoming a Microsoft partner? 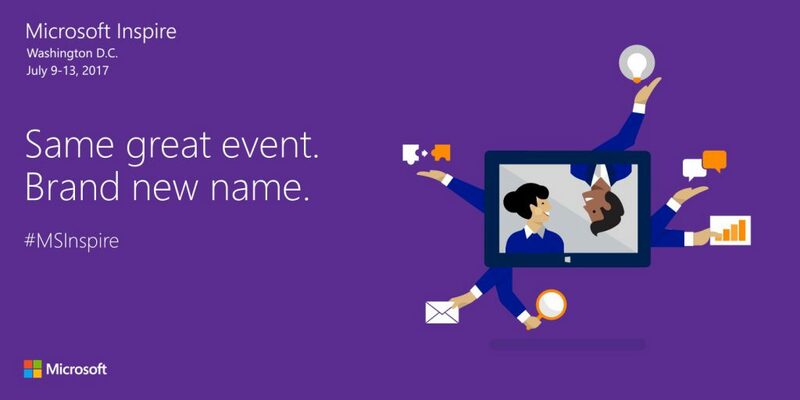 Visit our Microsoft Partner Network and get started today. For more information about our partner conference, visit the Microsoft Inspire website and register for the event. We look forward to seeing many of you in Washington, D.C. from July 9-13 as we unite, collaborate, and inspire business transformation together for our customers.